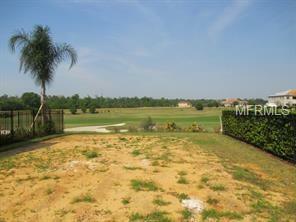 GOLF FRONTAGE HOME SITE IN SOUGHT AFTER REUNION RESORT. COME BUILD YOUR DREAM HOME AND ENJOY THE LIFESTYLE REUNION HAS TO OFFER. REUNION OFFERS 3 SIGNATURE GOLF COURSES, MULTIMILLION DOLLAR WATER PARK, RESTAURANTS, 11 POOLS AND TENNIS. Listing provided courtesy of Choice International Realty Inc.